“Through disciplined engineering and smarter wells, PESA Member Companies are driving efficiencies that minimize the environmental impact in the communities where we live and work,” said PESA President Leslie Beyer. Methane emissions from natural gas production — including hydraulic fracturing — are lower than previously thought, according to a new study from researchers at the University of Texas. The research was done in close coordination with the Environmental Defense Fund (EDF), a major U.S. environmental organization. The study, published December 9 in two parts in the journal Environmental Science & Technology, finds that methane emissions from the upstream portion of the supply chain are only 0.38 percent of production. That’s about 10 percent lower than what the same research team found in a study released in September 2013. The researchers also noted that a small number of sites accounted for the majority of emissions, suggesting that technologies already in use across the industry are effectively managing methane leakage. 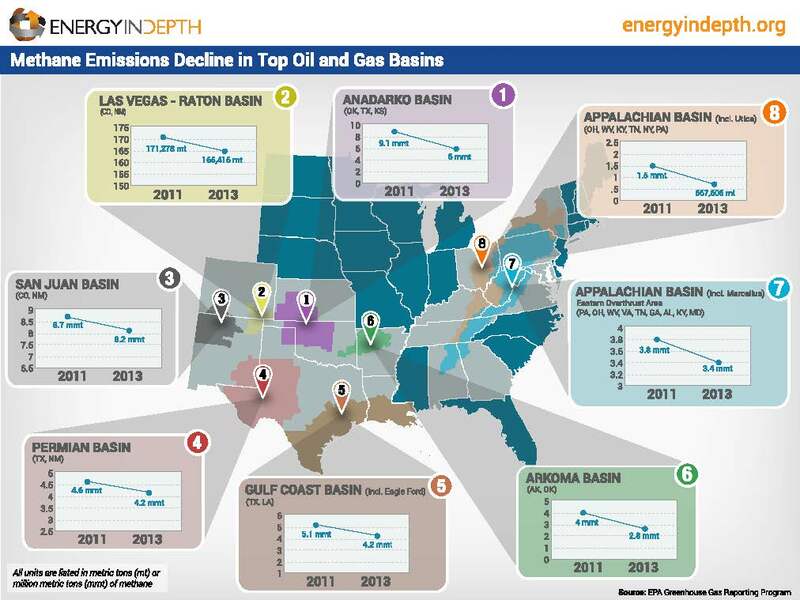 Last week, Energy In Depth released a report showing declines in methane emissions in many shale basins across the country, including the Permian Basin and Eagle Ford region in Texas; major producing areas in Oklahoma; and in the Marcellus and Utica shale regions in Ohio and Pennsylvania. 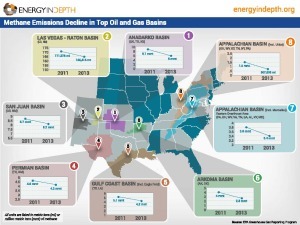 EPA in September said that methane emissions decreased 12 percent since 2011, and methane released from hydraulic fracturing operations has gone down 73 percent since 2011. And EPA last month finalized one rule and proposed another boosting methane reporting requirements under the GHG reporting program.